The system gently cleanses and nourishes hair, leaving hair feeling moisturized and beautifully soft. TRESemmé most popular hair care brand, has blended professional formulas with natural ingredients, to create a range that nourishes and replenishes hair. 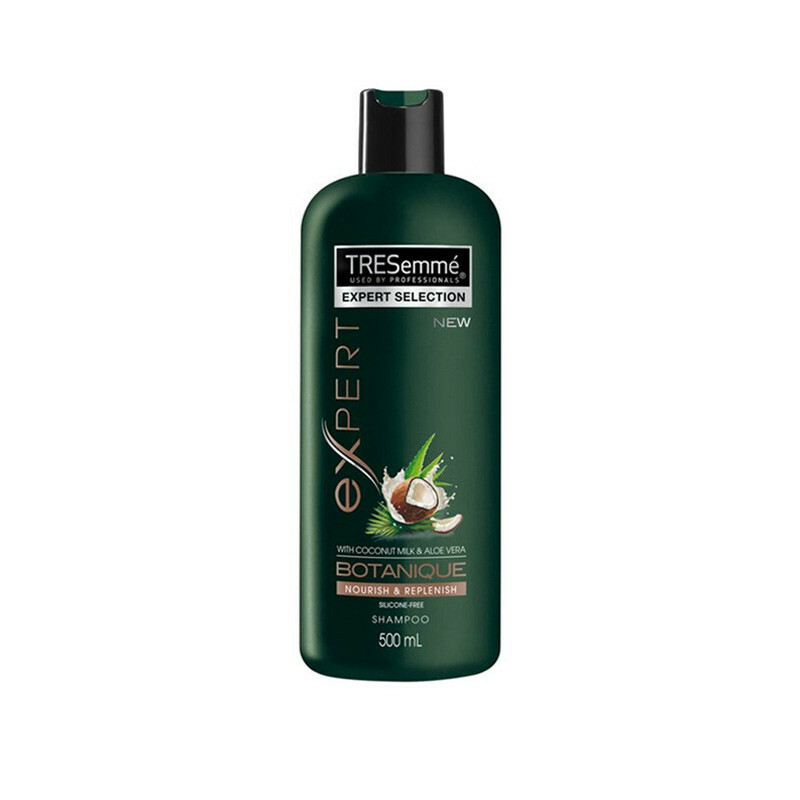 TRESemmé Botanique delivers professional quality results without the addition of traditional conditioning ingredients, keeping hair beautiful and healthy looking every day. This shampoo is free from parabens, dyes and silicones and enriched with our botanical blend of coconut milk, coconut oil and aloe vera. Get nourished, healthy looking hair with natural shine. Be inspired, be beautiful.